for January first to start the new year. 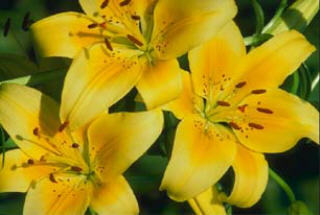 Spring in its abundance of color, birth of spring babies, and growth in plant life. It feels so replenishing after a long winter. A new beginning of another year. A promise of a harvest. Refresh is another term that comes to mind. In refreshing our lives in new ways for change to occur. Is there something new to learn that we did not take time to do? Did we promise ourselves we would take this time, now. Change is found in creativity and gives us freedom to spring forth in joy. In 2012 the Lamb of God will lead us to a gentler world. This is the greatest promise of all. I met people who said, "I am John, I am the woman at the well, I am Joseph..." The list continues with each knowing without knowing how or why who we were when we walked with Yeshua two thousand years ago. I kept saying since 2003 we know who we are and we are all here. not tonight, I am going to sleep. I rolled over then I heard on the TV...in Revelation it says that those that walked with Him before will come to earth for the Second Coming and they will know who they are. I rolled back to look at the TV in great suprise. It is true! I now understood it was foretold in Revelation. So what I was witnessing was true. We would all be here knowing who we were two thousand years ago. People who were in prominent roles as well as people who told me they were in the crowd when they saw Him. We are here! There is great joy in my heart and I hope in yours as we travel this momentous journey together as witness to the Second Coming. In my holiness, I bless you in Yeshua's name.